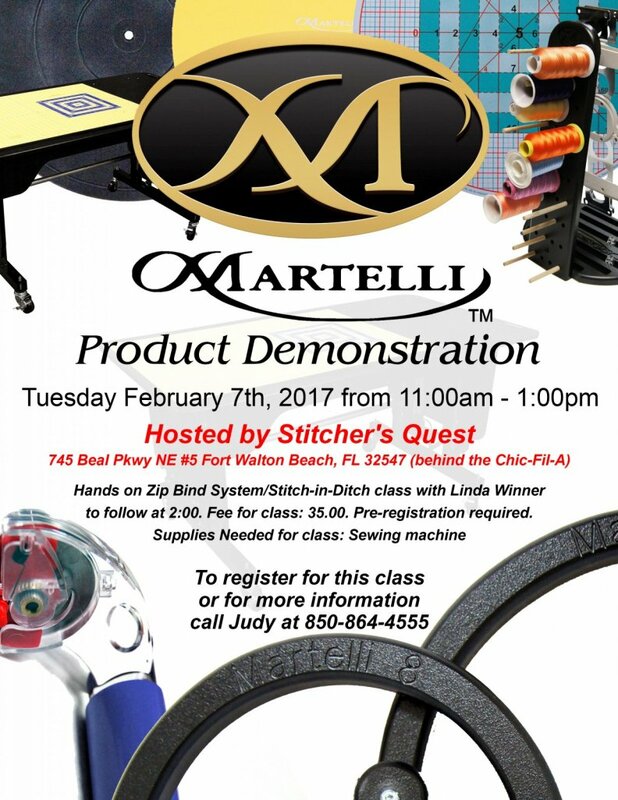 Martelli Event - February 7th! Click Here to Register - The demonstration is free. The hands-on class for the Zip Bind system has a $35 class fee and you will need to bring your sewing machine.